Susan Marie Carrato age 72 of New Milford, CT, passed away Tuesday August 14, 2018 at Danbury Hospital. She was the wife of Tony Carrato. Susan was born November 19, 1945, in Burbank, CA, a daughter of the late Donald and Colleen Redmond. She received an Associates Degree from Aurora Community College, Aurora, CO, in accounting. Susan served in the U.S. Navy for several years, leaving the Navy Reserve in 1991 as Petty Officer 2nd Class. She then worked as payroll technician for the Federal Government. Susan and her husband moved to Hong Kong in 1994, where she was employed as administrator of the Naval Arcade and later was office manager for Outblaze.com. They later moved to Australia, spending a year in Sidney and seven years in Melbourne. They returned to the United States and settled in New Milford in 2008. Susan love to quilt and working to rescue animals. 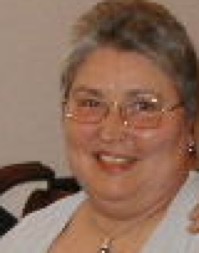 In addition to her husband of 29 years, Susan is survived by three sons, Donald Huckans, Phillip Huckans and Steven Carrato; five grandchildren, a brother, William Redmond and a sister, Ann Olch. Memorial contributions may be made to Pawsafe.org.